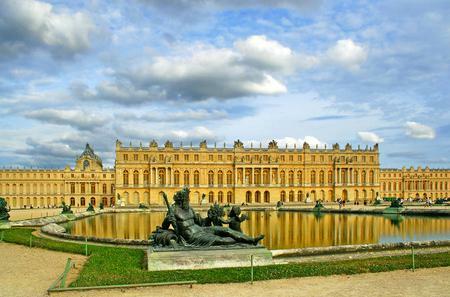 The Palace of Versailles is a royal château in Versailles that was the principal residence of French kings from Louis XIV (1682) to Louis XVI (1789). 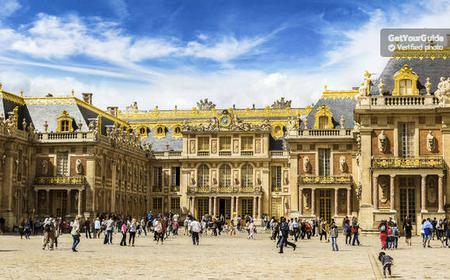 The Palace of Versailles is a royal château in Versailles that was the principal residence of French kings from Louis XIV (1682) to Louis XVI (1789). 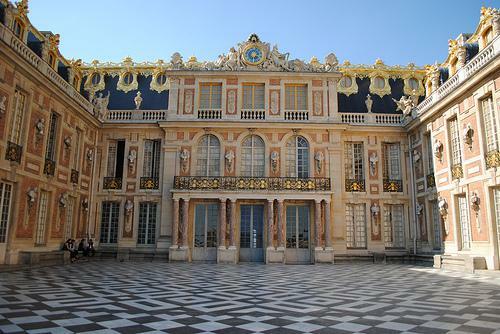 Originally built by Louis XIII in 1623 as a hunting lodge, the French Baroque palace was expanded and enhanced by various architects, artists and decorators, and became a model of the ideal royal residence in Europe, symbolizing the absolute monarchy of the Ancien Régime. 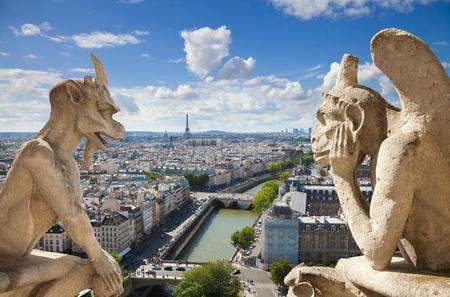 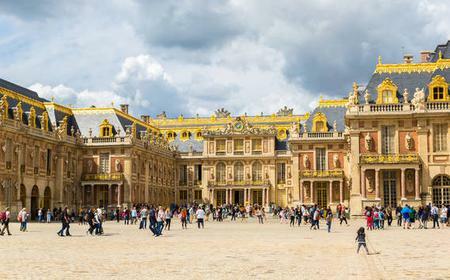 It is a testament to French art and architecture of the 17th-18th century, and a UNESCO World Heritage Site. 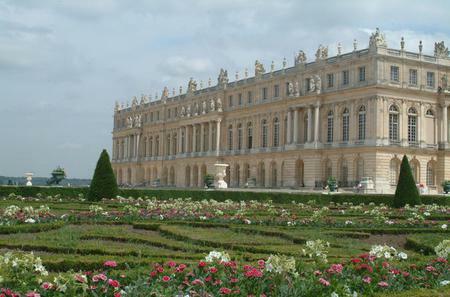 The central part of the palace is the Grands Appartements, laid out on U-shaped plan around a black-and-white marble courtyard. 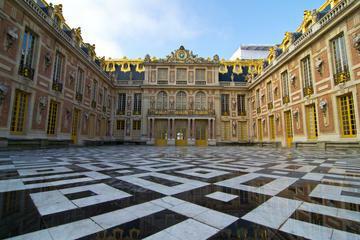 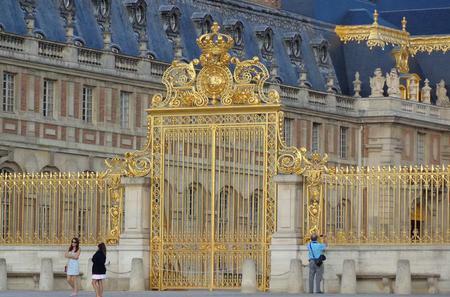 It comprises the Grand Apartment of the King, Hall of Mirrors, Grand and Petite Apartments of the Queen, Apartments of Ladies, Apartments of the dauphin and the dauphine, Apartment of the Captain of the Guards, Queen's Cabinets, and the Apartments of Madame du Barry, the Marquise de Pompadour and the Comte de Maurepas. 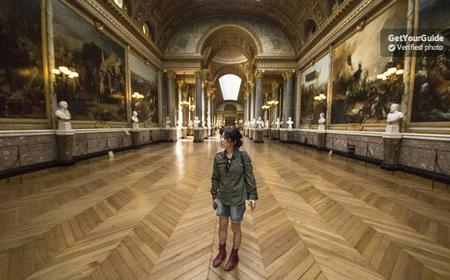 Its highlight is the dazzling Hall of Mirrors by architect Jules Hardouin-Mansart, featuring 17 mirror-clad arches fixed between marble pilasters with gilded bronze capitals that depict symbols of France such as the fleur-de-lys and the Gallic cockerel. 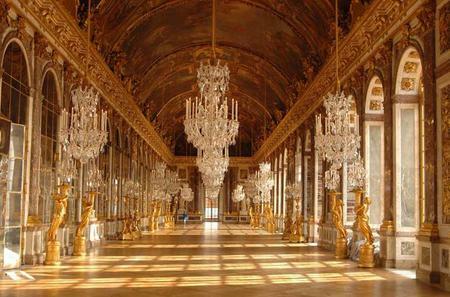 The mirrors reflect the arcaded windows overlooking the gardens. 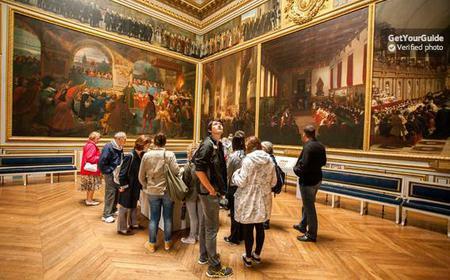 The ceiling features almost 1000 m2 of paintings from the workshop of Charles Le Brun illustrating the achievements of the reign of Louis XIV, half of which are on fabric glued to the arch. 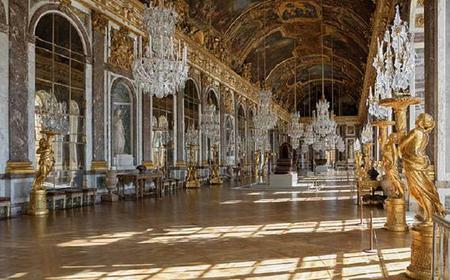 The room has 8 marble and porphyry busts of Roman Emperors, along with statues of Bacchus, Venus of Arles and Troas, Chastity, Hermes, Urania, Nemesis, and Diana of Versailles. 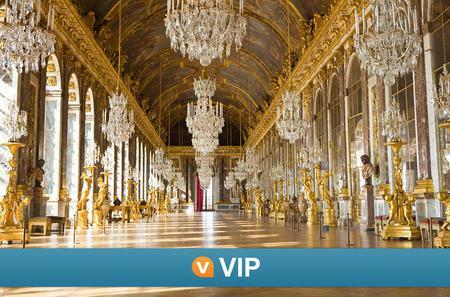 The historic Treaty of Versailles that ended World War I was signed in this Hall of Mirrors. 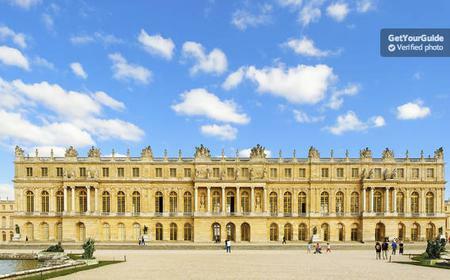 The Aile du Midi or South Wing has the Gallery of Battles and Congress Hall, while the North Wing has the Chapel of the Palace of Versailles, Royal Opera, 19th century rooms, and Crusade Halls. 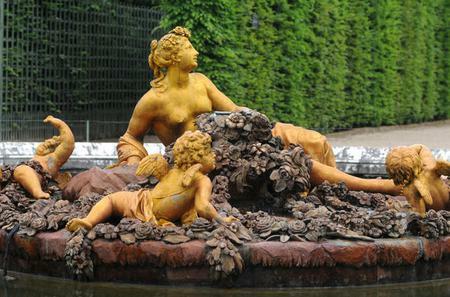 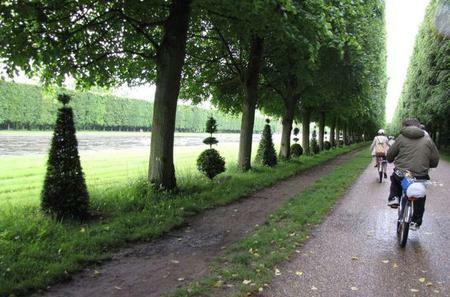 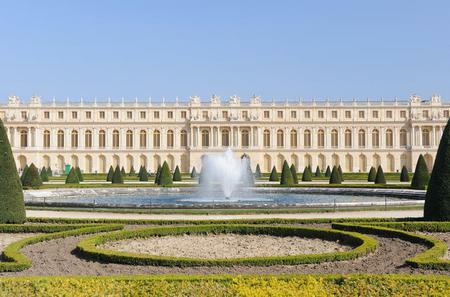 The palace is surrounded by 800 hectares of parkland with classic French Gardens by André Le Nôtre. 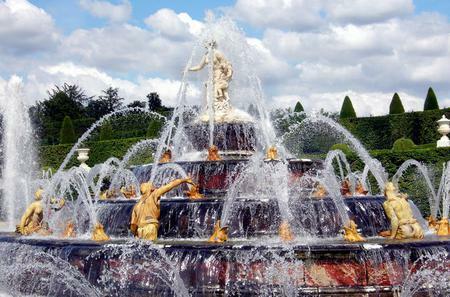 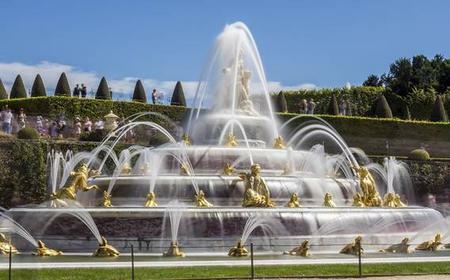 Here you can find the Versailles Orangery, Grand Trianon or Marble Trianon, Petit Trianon, Latona Fountain, Parterre d’Eau, Grand Canal, Apollo Fountain, Swiss Water Room, Pavillon de la Lanterne - a hunting lodge, and various bosquets.